Israeli Prime Minister Benjamin Netanyahu told the foreign ministers of Greece and Cyprus during meetings in Jerusalem last month that he doesn't see President Trump reducing the pressure on Turkey over the arrest of American pastor Andrew Brunson or an improvement in U.S.-Turkey relations in the near future, Israeli officials and Western diplomats told me. Why it matters: Greece and Cyprus are two of Turkey's main adversaries. Israel has its own crisis with Turkey after the government in Ankara asked the Israeli ambassador to leave the country over violence in Gaza. And Netanyahu played a role in Trump's efforts to release Brunson when he agreed to Trump's request to release a Turkish citizen detained in Israel. As a result of the deal, which didn't lead to Brunson's release and led to U.S. sanctions against Turkey, Netanyahu has good knowledge of Trump's thinking on the issue. The Israeli officials and Western diplomats who were briefed on Netanyahu's meeting with the Greek and Cypriot foreign ministers said he stressed he doesn't think there will be any progress in solving the U.S.-Turkey crisis before next month's midterm elections because Brunson's case is important to many evangelical voters. 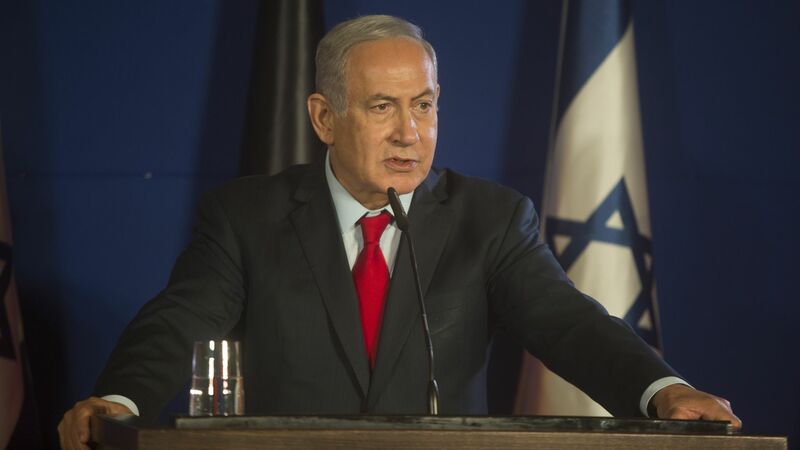 In the meetings, Netanyahu spoke very critically about Turkish President Recep Tayyip Erdogan. According to the Israeli officials and Western diplomats, Netanyahu said he is pessimistic and concerned about the economic situation in Turkey because Erdogan is making irrational economic decisions. Netanyahu said: "There is a systemic problem in Turkey. Erdogan calls me Hitler every two weeks — I don’t see the light at the end of the tunnel [regarding Turkey's future]." The ongoing civil war in Syria also pushed Turkey to get a reconciliation deal with Israel two years ago, according to Netanyahu. He told the Greek and Cypriot ministers that after the reconciliation deal his aides used to speak to Erdogan's closest adviser Ibrahim Kalin every two weeks about the situation in Syria. "But today we don't even have intelligence exchanges with Turkey about Syria," Netanyahu added. Netanyahu also said he was concerned about possible Turkish moves against gas exploration in the eastern Mediterranean. U.S. companies work in this region with Greece, Cyprus and Israel. Netanyahu said: "Erdogan is rash and unexpected. I am pessimistic. It is an oxymoron that a NATO member like Turkey buys S-400 missiles from Russia. … I am also concerned about Turkey buying F-35 jets from the U.S."